The novel nanotechnology sensor was devised by Prof. Fernando Patolsky from Tel Aviv University Center for Nanoscience and Nanotechnology. 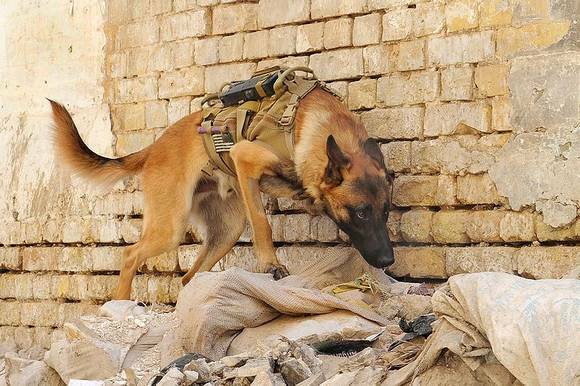 With financial help from a company called Tracense the device picks up the scent of explosives molecules much better than a trained explosive detecting dog’s nose. The research has just been published in the journal Nature Communications with the title ‘Supersensitive fingerprinting of explosives by chemically modified nanosensors arrays‘. The tiny chip consists of hundreds of silicon nanowhiskers each of which are able to detect ultra low traces of volatile explosives in the air. The whiskers are covered in binding chemicals and nanoparticles which specifically bind to the explosive molecules if they are in the air. The whiskers mounted on the chip form a tiny electronic device called a nanotransistor which outputs a positive signal if molecular binding occurs on one or more of the whiskers. This is similar to how our noses smell things, as at the top of out nasal passages right behind the nose, there is a patch of special neurons which have tiny hair-like projections called cilia. If a volatile molecule is given off by the thing you are smelling and your cilia hairs detect it, they generate a signal in the neuron. Replacing the cilia with silicon whiskers and the neuron with the silicon chip and its easy to see how the two techniques are very similar. Although a well trained explosives dog can detect when there are explosives in a package, the animal has to be in close proximity to the device and can not tell you which explosive molecule it is detecting. The new chip is two to three orders of magnitude more sensitive than a dog’s nose and can detect small molecular species in air down to concentrations of parts-per-quadrillion in real time. Although still in its prototype phase, the detector can identify several different types of explosives several meters from the source in real time. It has been tested on TNT, RDX, and HMX which are explosives used in commercial blasting and military applications. It has also been tested on peroxide-based explosives like TATP and HMTD which are known to be used in homemade bombs and with suicide bombers. The latter two are very difficult to detect using existing explosive sensing technology and open up new possibilities for remote explosive sensing. Aside from its incredibly sensitivity, the technology is also small and light making it portable and easy to carry. Being able to detect explosives from a distance means that it has the potential to protect both the human or dog who would normally have to have initial contact with a potential explosive device. 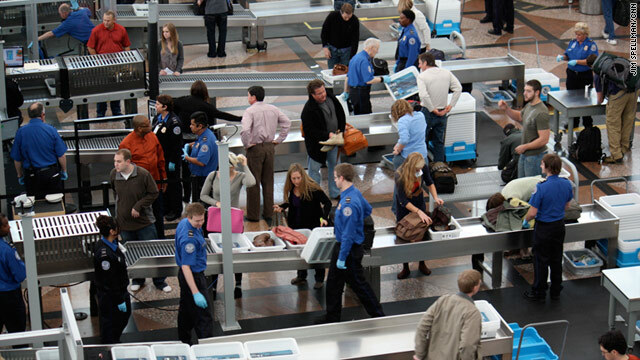 Being portable means the sensor could be wall mounted and can still detect items within a room, possibly leading to walk-through technologies at airports allowing passengers to be scanned which could remove the current fluid carry-on restrictions.